This is an critical assessment of L Ron Hubbard’s writing (and early life) examining a series of fantasy stories he wrote for pulp magazines. 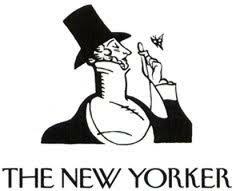 The critic is a fellow author, who was highly respected in the field, and it was published in “Fantastic”, a magazine dedicated to the ‘Swords and Sorcery’ genre of literary fantasy. De Camp’s bottom line is that Hubbard’s stories suffered from “slapdash haste and carelessness” and, after he created “Dianetics”, his writing descended into pretentious incoherence. It is an interesting read, which includes some telling period detail. The only only minor flaw is that De Camp accepts Hubbard’s account of his early life and military service (including claims that he served ‘[…] a stint in the US Marines” and that his father was a Montana cattle baron). These fabrications were not debunked until years later. Alfred Bester (1913 – 1987) was a well respected and influential writer of classic science fiction. Like L Ron Hubbard, he wrote for Astounding Science Fiction under the editorship of John W Campbell. Many of his stories (for example “The Stars My Destination” – “Tiger, Tiger” in the UK) revolved around characters who were ‘bad telepaths’ – a characteristic which was paid tribute to in the television series “Babylon 5″ in the form of the thoroughly evil ‘PsiCop’ who was named… Alfred Bester. 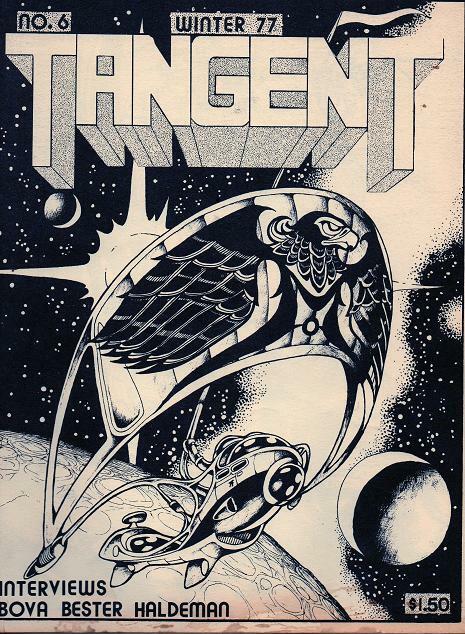 In 1977 Bester was interviewed by the SF magazine “Tangent”. In this interview he relates how, when he met the famous Campbell to discuss the publication one of his stories in “Astounding”, the editor had just received the manuscript of a ‘non-fiction’ book that he was about to serialise in “Astounding” – L Ron Hubbard’s “Dianetics”. Campbell was, at this time, wildly enthusiastic about “Dianetics” and seemed to believe that Hubbard’s work deserved a Nobel Peace Prize – at least. Bester read the proofs of “Dianetics” – and his previous admiration for Campbell’s intellect and judgement rapidly evaporated as he innocently read the incoherent text of “Book One”. The text of the main post consists of an extract where Bester discusses this encounter, and the links at the top of the page to view/download the interview of which it is a part (although the whole thing is probably only for fans of classic SF). Scientology’s reputation for persecuting critics is well-known. This article describes how they tried to suppress free discussion and transfer of information in the early days of the internet – employing technical sabotage, legal harassment, copyright law and organised dirty tricks (one particular instance, described here, is both bizarre and unpleasant). 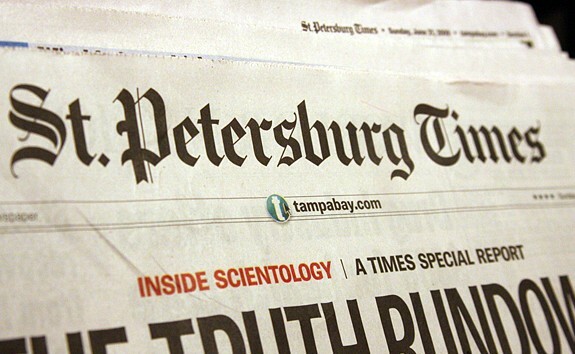 It focuses on the early history of the newsgroup (an early means of online discussion) alt.religion.scientology whose resistance preserved freedom of speech on the Internet. In the ‘video’ section of this site are documentary programmes, going back to 1967, made in the UK, USA and Germany. It is quite remarkable how little Scientology’s standard operating procedure has changed. The Church behaves in the same way over time and across different cultures. 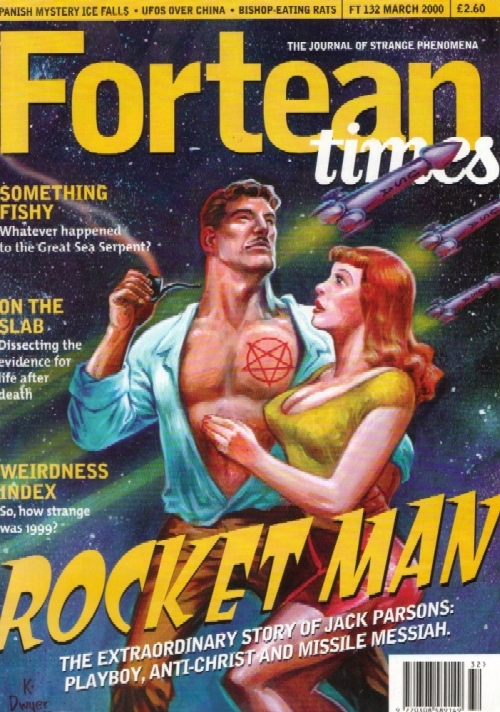 This print article goes back to 1996 and is set in the US – specifially the Los Angeles Dianetics Testing Center, near the Hollywood ‘walk of fame’. Ebner simply took the still-familiar ‘Free Personality Test” and the Scientology ‘IQ test’, and paid $125 to experience the introductory stages of Scientology training (triggering a hard sell campaign that is unchanged to this day). It is truly remarkable how the recruitment procedure and Scientology ‘training’ described by Ebner have hardly changed over the intervening 29 years. 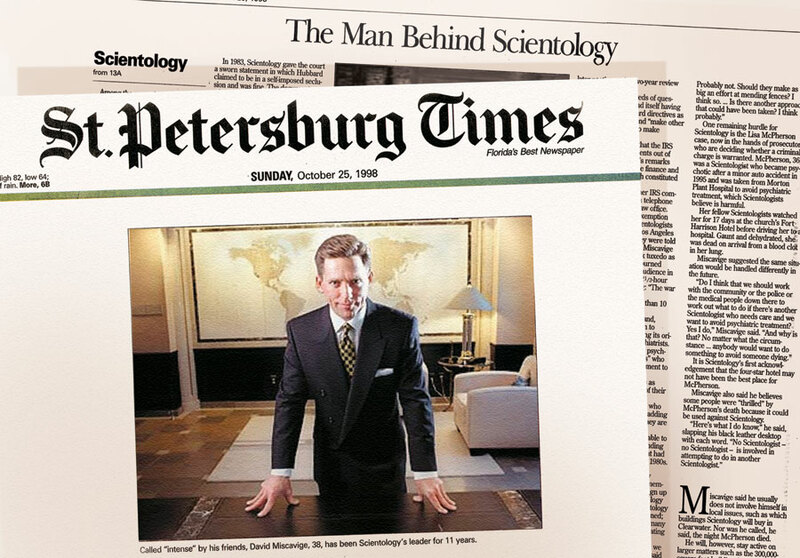 The first newspaper interview with David Miscavige (and one of the very few genuine media interviews he has given). It dates to the period shortly after the Church of Scientology ‘won’ its conflict with the US tax authority (the IRS). 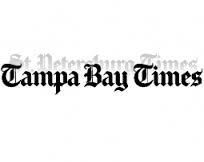 Miscavige presents himself as a peacemaker, who aims to “[…] end hostilities” between the Church with the town of Clearwater. Scientology established its headquarters, and many of its most important facilities in Clearwater around 1975. This was initially done by stealth (i.e. buying property in the name of various Scientology front groups). This, and the subsequent behaviour of the Church has created ill-feeling between Scientology and the town which continues to this day. A few days ago, I posted a 1966 article from ‘Spy’ magazine by investigative journalist Mark Ebner. This described his undercover experience of Scientology’s recruitment procedure. This article covers the same ground – but from a completely different perspective – that of academic psychology. 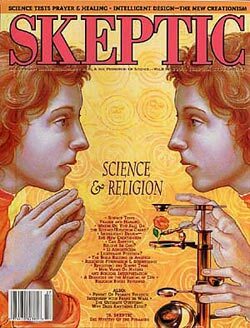 It was published in 1999, in “Skeptic” magazine (US edition). If you compare the two articles you will see that, in the intervening 33 years, Scientology’s approach to recruitment had hardly changed at all. 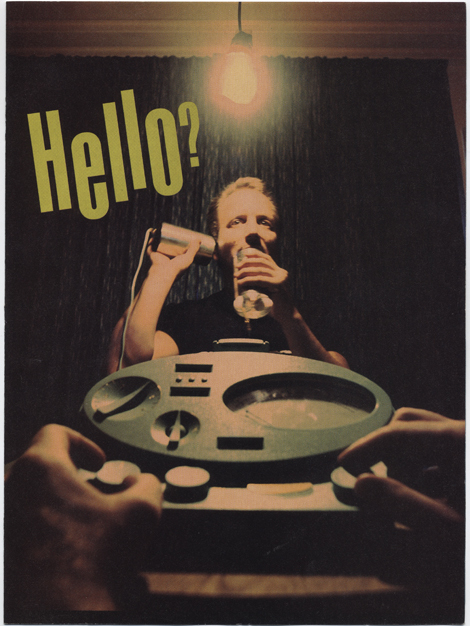 Martin argues (and demonstrates) that the tactics that Scientology recruiters are trained to use have nothing to do with the content of Scientology itself – they rely instead upon well-understood techniques of persuasion and influence. John Whiteside Parsons was a pioneering rocket scientist. His principal achievement was the development of solid rocket fuel. Initially, this was used to provide jet-assisted take-off for military aircraft. In subsequent years, parsons’ technology has provided the basis for solid rocket boosters, whichhave become an essential workhorse for modern, modular space launch vehicles. However, Parsons was not a conventional scientists. He lived a strange, double life as a secret follower of British occultist Aleister Crowley, and member of the California Lodge of Crowley’s ‘magickal’ group, the Ordo Templi Orientis (OTO). Parsons is of interest here because of his relationship with L Ron Hubbard, in the days before the creation of Dianetics and Scientology, when they performed ‘black magic’ rituals together. In 2003, 28 year old Jeremy Perkins stabbed his mother Eli 77 times. He was not responsible for his actions, because he was almost certainly suffering from a powerful delusion that was the result of untreated schizophrenia. His mother had been a popular and committed Scientologist. Scientology considers psychiatry to be the principal player in an international conspiracy to suppress mankind (and especially Scientology). For example, the Church of Scientology holds psychiatry specifically responsible for the Nazi holocaust. Scientologists are taught to believe that psychiatric medication is one of the means that psychiatry exercises control over people, and that “psych drugs” are to be avoided at all costs. 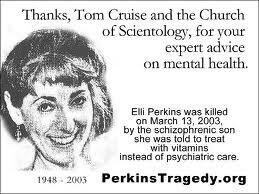 Consequently Eli was following the advice of a Scientology ‘doctor’, and was ‘treating’ her sons condition with high doses of vitamins. Following this advice not only led to her death, but also condemned her son to life in a secure institution. Accounts of physical and psychological abuse committed by David Miscavige, the present ‘leader’ of Scientology – including a bizarre incident where executives were forced to play ‘musical chairs’ to retain their jobs and contact with their families. Scientology’s successful campaign to force the Internal Revenue service to grant the organisation tax exempt status. The defections of Mike Rinder and Mark Rathburn, both senior executives in the organisation. An account of events surrounding the death of Hubbard, drawing from accounts of the police officers who initially attended the scene and the result of the coroner’s external examination of the body. His death prevented him answering for his creation of “Operation Snow White” which, “infiltrated federal offices, leaked stories about perceived enemies, and copied federal documents about the church” and precipitated a bitter power struggle that ended with the ascension of the present ‘leader’ of the Church of Scientology, the controversial David Miscavige. For years in a desert compound east of Los Angeles (“Gold Base” situated near the town of Hemet, in Riverside) dozens of managers for the Church of Scientology endured an unusual trial by fire. The church called it “ecclesiastical discipline,” part of the religion. But some managers came away with stories so troubling they attracted the attention of the FBI. They tell of incarceration. violence and abuse in a place called “the Hole.” The church says their stories are lies and exaggerations. This is the most detailed account yet of what happened inside the Hole. It is based on numerous interviews with a dozen former members of the church’s religious order, the Sea Org, and on information found in church materials and court testimony. A video version of this report, including the interviews used in this article is available here. 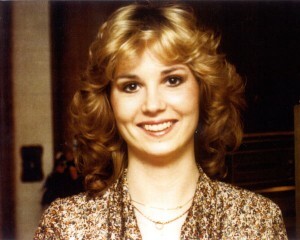 The death of Lisa McPherson is crucial event in Scientology’s history. After being declared ‘clear’ (apparently by the by the current leader of the church of Scientology, David Miscavige) she suffered a psychotic break – after a minor car accident, she took off all her clothes and wandered down the road in a confused state. 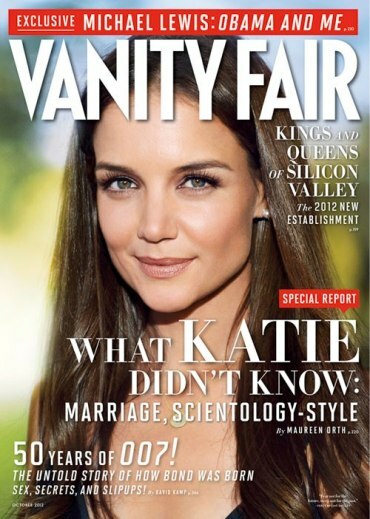 She opted to be treated according to Scientology doctrine. While in the care of the Church, her physical condition deteriorated and she subsequently died. The files above give an overview of events, and the associated post gives more details.